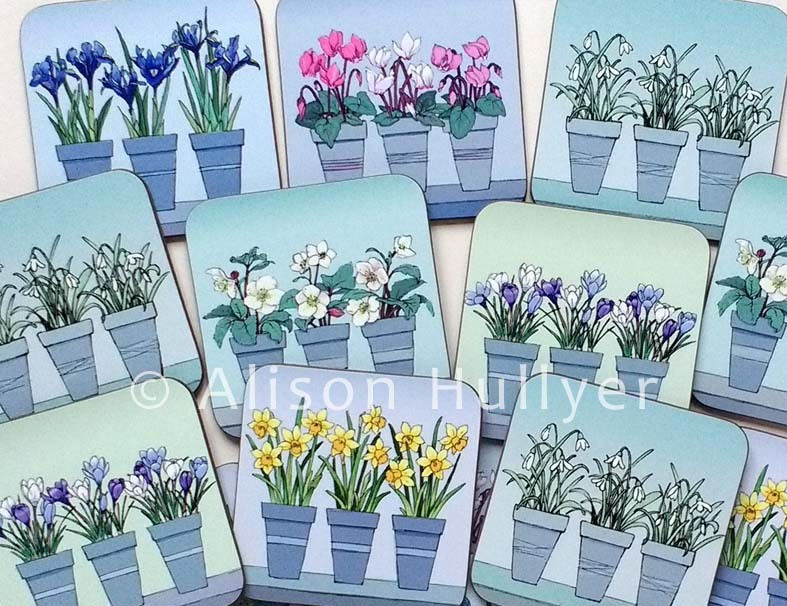 I have been really busy this year already with amongst other things, designing Christmas cards, working on a new design for another National Trust property and sorting out costings for a new garden studio which will hopefully be built this summer - very exciting! Hence my tardiness at posting anything on here recently. I think instagram seems to be the place to be these days, so if you want to keep updated on a more regular basis then do find me over there or click on the link above. It's all looking very Spring-like in Cambridgeshire at the moment. 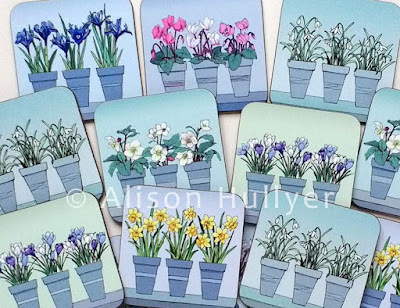 I recently launched these six new Spring Flower Pot coasters which sold out almost immediately. I'm waiting for more stock to come in this week. Anglesey Abbey and Wicken Fen have some of them just for this season.